Experience the quality of Rembrandt Charms. 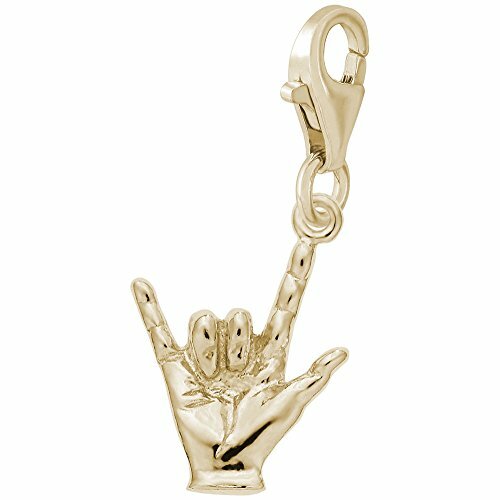 This I Love You Charm with lobster claw In 14k Yellow Gold is stamped with the metal quality mark and RQC trademark. All Rembrandt products have a Lifetime guaranteed. Please note the images above are enlarged to show detail. The charm is 13.57 MM long x 11.61 MM wide, it's handcrafted, made to perfectly fit your charm bracelet and will be great add-on to any charm collection.